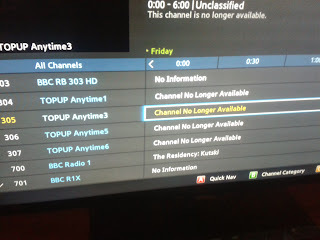 Top Up TV has closed. The terrestrial pay TV provider has ended its service broadcasting alongside Freeview channels on the digital terrestrial TV platform. Originally launched in 2004 as a way of receiving basic pay TV channels including Discovery, Cartoon Network and TCM, the service restructured in 2006 becoming an on-demand service with programmes from major broadcasters downloaded to receivers overnight. By 2010, the service refocused on being a distributor of premium sports TV channels including Sky Sports 1 and ESPN, working together with BT, who distributed Sky Sports on terrestrial TV. When BT launched its own sports service, replacing Sky Sports 1 and 2 and removing ESPN off digital terrestrial television, there was not much left for Top Up TV to offer subscribers. In recent months, the service had consisted of limited number of programmes downloaded to Top Up TV Anytime boxes and the Picturebox movie service. BT, who took over ESPN in the summer retained the slot for its BT Sport Preview service, but it's still unknown how long this arrangement will last. 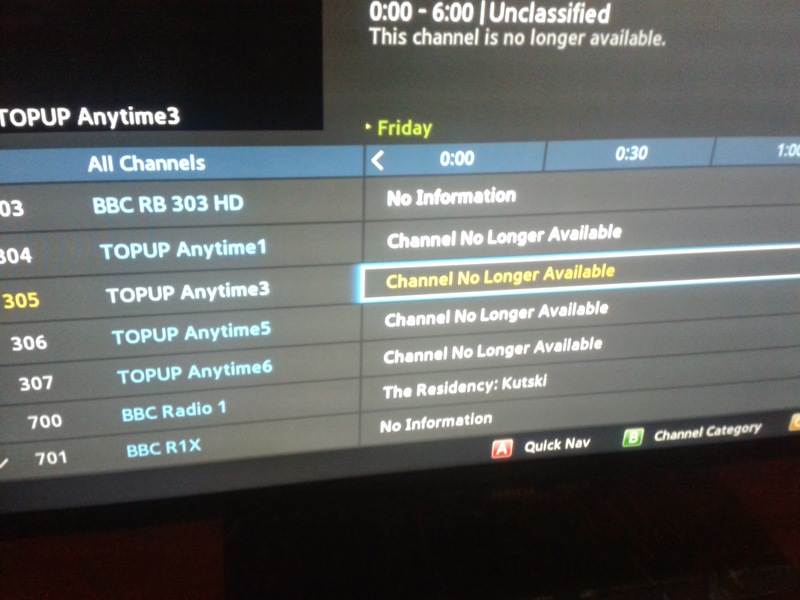 Former Top Up TV subscribers can still use their receiver to watch Freeview channels. The last remaining pay TV service on digital terrestrial TV, BT Sport on channels 58 and 59 are exclusively available to BT TV customers outside of the Infinity fibre broadband coverage area and not available as standalone pay TV channels.